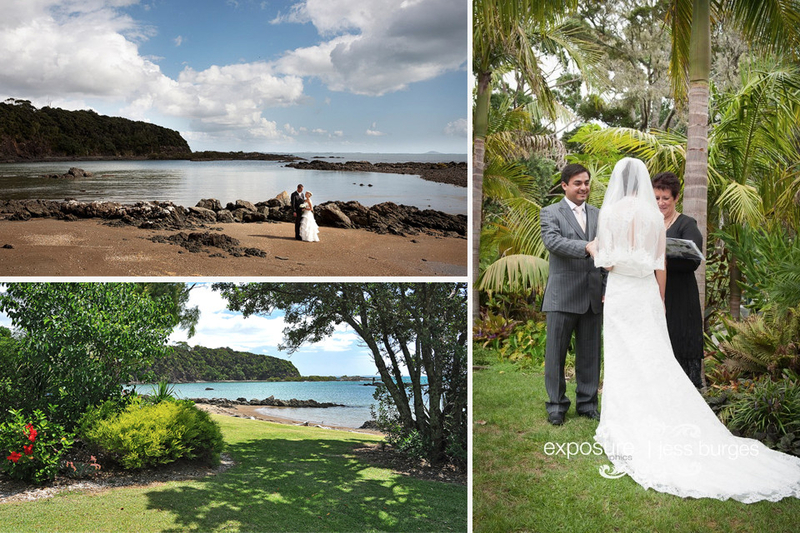 A choice of various romantic settings for your wedding ceremony and photos: A lush water garden with a spectacular waterfall backdrop, the lawns under Pohutukawa trees with the high tide only metres away, or the beach sands. The waters of a private cove lap along broad front lawns where reception marquee(s) can be erected or after function canapés enjoyed. 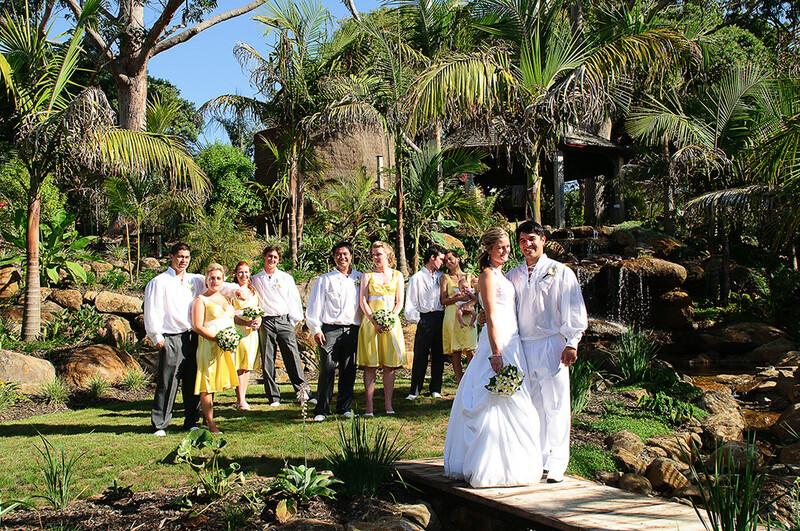 Our wedding parties have the use of both our luxury waterfront cottages – a minimum 2 nights is additional to our venue costs. 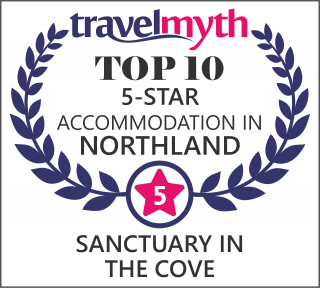 Of course additional nights can also be booked to suit individual requirements. Guaranteed privacy and seclusion from onlookers. On-site parking for all your guests behind locked security gates. Marquee hire and catering are additional costs not covered in the venue charges. We like to work with our clients on this important area of your wedding planning and can advise on a range of catering options and hire companies. 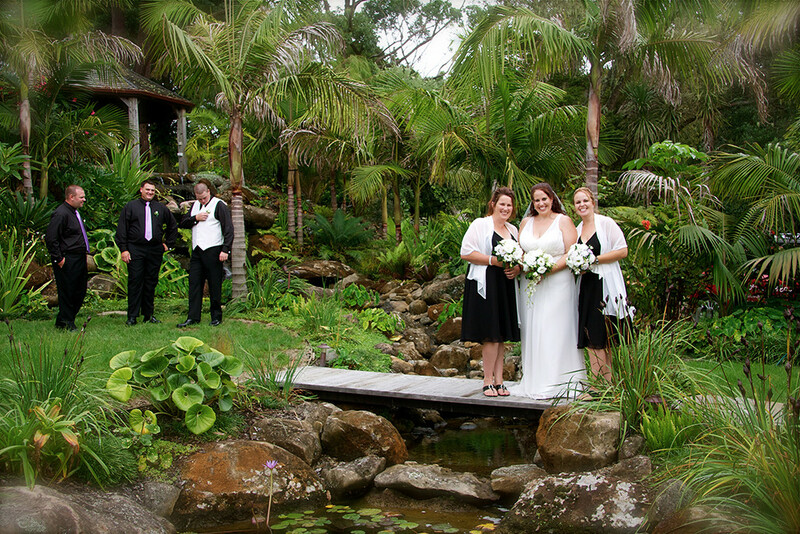 We can also suggest catering for pre-reception canapés at Sanctuary in the Cove (when your reception is held at an alternative venue) and have contacts for photography, marriage celebrants and live music. 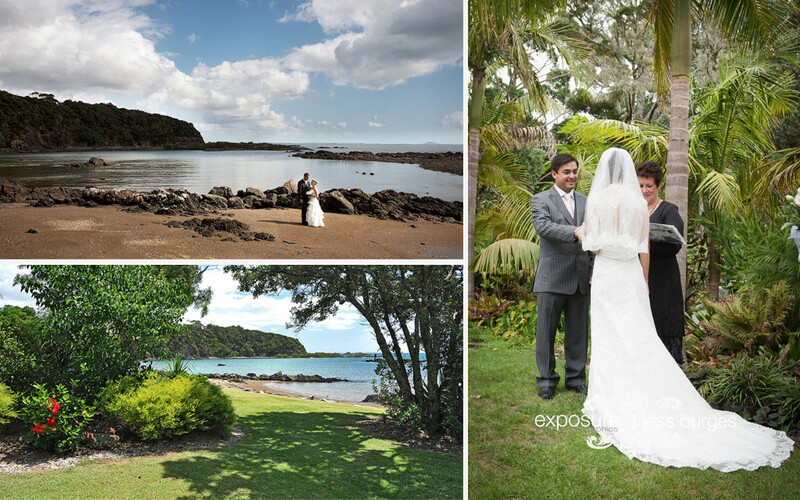 Address: 283 SH10, Coopers Beach, Northland, New Zealand. © Copyright 2019 Sanctuary in the Cove · All Rights Reserved.